Light snacks, home made soup, freshly made sandwiches, home made cakes, tea and coffee and a full bar service are available daily in the Clubhouse. The Club has made famous its Pink Jug drink which is a concoction of lemon, ice, champagne and equal tots of Benedictine, brandy and Pimms No1 which tradionally has been enjoyed by members and visitors alike at the start or end of a round at Royal Worlington. 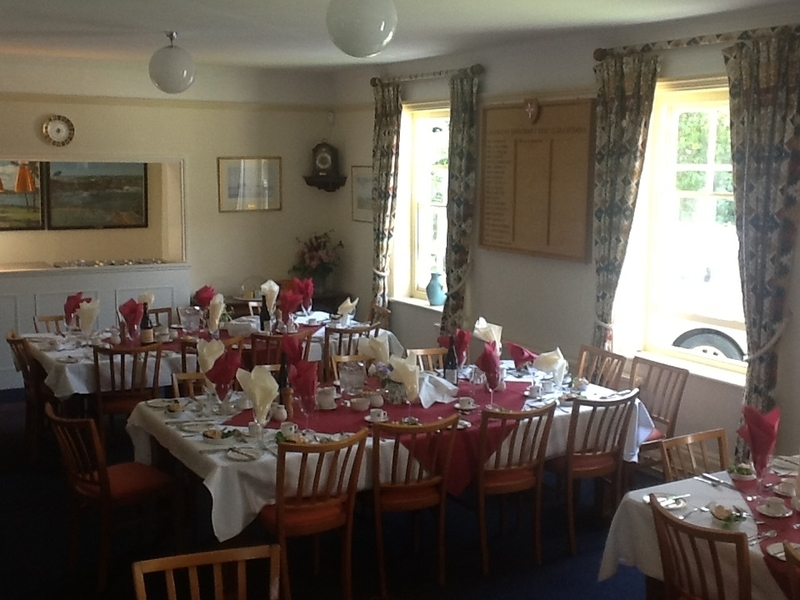 On Club Match and Society days a full four-course lunch can if required be provided. Breakfast can be arranged, and tea and home made cakes are always available. All food is freshly prepared and cooked on the premises, and the Club is renowned for the quality of its roast lunches and home made traditional puddings such as treacle tarts, chocolate puddings and fruit crumbles. A good selection of quality wine is always available at reasonable prices. With a week's notice, Members of four or more may book breakfast, a full lunch, or the society package in advance of their visit. The Club Secretary or our Head Stewardess, Laureen Austin, would be happy to discuss any catering requirements you may have in advance of your visit.